Jon Rahm ended 2018 on a strong note by winning the Hero World Challenge and with the title, one of Tony Montana’s old bookends. Cameron Smith has set the stage for a big 2019 with another great week in his native Australia, this time winning the Australian PGA after a T10 at the Australian Open and runner-up finish at the World Cup of Golf with Marc Leishman, his competition at the Aus PGA. Tony Webeck reports for Golf Australia on a showdown of Australia’s two best players. Kurt Kitayama might have trouble getting through airport security with looted security gate remnants from a displaced dictator’s palace. But hey, he’s the 2018 Afrasia Bank Mauritius Open winner so he doesn’t care, especially since it was his first win in just his third start. Alistair Tait with the details of the ex-UNLV golfer and his breakthrough week. The event has a magnificent history and the PGA Tour is to be commended for efforts to revive what was once a grand title in the game: the World Cup of Golf. We debated all-time World Cup teams on Golf Central and it really was a wealth of riches, though Palmer-Nicklaus is tough to beat! Jim McCabe with a nice retrospective on Metro’s grand golf tournament history that dates to the Sarazen era! Rob Bolton breaks down this year’s field. Marc Leishman and Cameron Smith headline the field for the Aussies. Maybe not the biggest names Australia can muster, but undoubtedly their best two players over the last year. Mark Hayes with their outlook. Golf Channel coverage starts at 8 pm ET Wednesday to Saturday, with the first and third rounds played at four-ball, and the second and final rounds alternate shot. Tee times and other particulars. Two of the most architecturally dynamic courses imaginable will again host the Australian Open, which has been locked into an 8-year contract to be played in Sydney. But according to this Golf Australia report, the majestic Sandbelt will host in two release years at courses most recently known for hosting the Australian Masters. GA chief executive Stephen Pitt was grateful to all clubs for their enthusiasm in the bidding process, but was delighted to announce that Kingston Heath Golf Club would play host in 2020 and then Victoria Golf Club in 2022. “We were extremely impressed with the level of interest in hosting our men's national championship from so many clubs in the Sandbelt,” Pitt said. The remembrances are pouring in for Australia's greatest golfer and global golf ambassador emeritus Peter Thomson. The New York Times obituary by Richard Goldstein. The Guardian's version by Peter Mason. Golf History Today has put together a nice roundup page of some insights into the man and online videos. Over lunch at our offices in Connecticut, I once asked him about Jack Nicklaus’ design work. “Nicklaus courses are like Jack himself—grim and humorless, with sharp edges,” he said. A few years later another image of Peter Thomson formed in my mind. Covering Opens in the late ’60s and early ’70s, I would be sitting at my desk when Peter would stroll in to the media centre, possibly still in his golf clothes with a sweater placed jauntily over his shoulders and carrying a portable typewriter. He would settle himself at a desk and bash out 800 words about his play and that of others in that day’s Open Championship and get them transmitted to The Age, the newspaper in his native Melbourne, Australia, or so I believe. John Strege on how Thomson kept the golf swing very simple and shared his philosophy. Mike Clayton says Thomson left the game in a better place in this Golf Australia piece. The Sydney Morning Herald's story. And this from Golf Australia, with more remembrances of the five-time Open Champion, architect, writer, global ambassador and World Golf Hall of Famer coming soon. The family of Australian golfing great Peter Thomson announce his passing on Wednesday 20 June 2018. He had been suffering from Parkinson's disease for more than four years and lost his brave battle at home in Melbourne surrounded by family at 9.00 a.m. Born on 23 August 1929, he was two months short of his 89th birthday. 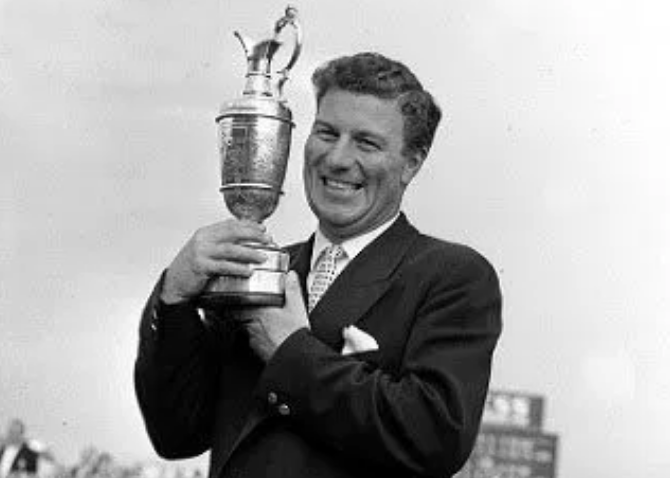 The first Australian to win the British Open went on to secure the title five times between 1954 and 1965, a record equalled in the 20th and 21st Centuries only by American Tom Watson. On the American senior circuit, he won nine times in 1985, setting a record that may never be broken. As well as a great player he was an outstanding contributor to the game, serving as president of the Australian PGA for 32 years, designing and building courses in Australia and around the world, helping establish the Asian Tour and working behind the scenes for the Odyssey House drug rehabilitation organisation where he was chairman for five years. He also wrote for newspapers and magazines for more than 60 years and was patron of the Australian Golf Writers Association. In 1979 he was made a Commander of the Order of the British Empire (CBE) for his service to golf and in 2001 became an Officer of the Order of Australia (AO) for his contributions as a player and administrator and for community service. Peter is survived by his wife Mary, son Andrew and daughters Deirdre Baker, Pan Prendergast and Fiona Stanway, their spouses, 11 grandchildren and four great-grandchildren. They ask for privacy in their bereavement and will announce funeral arrangements in the next few days. Cameron Davis Hitting Shots Left And Righthanded: Perfection! Jimmy Emanuel reports that former Masters champion Adam Scott will be wielding the long putter, minus the now-banned practice of anchoring, as he tees it up in the Australian PGA (Golf Channel coverage starts Wednesday at 8 pm ET). Scott says he was inspired to try after seeing the incredible results of seniors Bernhard Langer and Scott McCarron on the PGA Tour Champions. “… it was actually pointed out to me that this year they (Langer and McCarron) both recorded the best ever putting stats since stats have been kept. Both of them beat the old best. You know, I don't know if it's just a coincidence or if they had just a really good year, but maybe they've found the best way to putt,” Scott said. Mark Hayes catches up with Jarrod Lyle at this week's Australian Open, and the pro golfer battling cancer for the third time is working the event for Australia's Channel 7 (and therefore we should hear him on Golf Channel) before receiving a stem cell transplant in December. “I’m great now, feeling really good actually,” said Lyle, who will spend time this week as an analyst of Channel 7’s coverage of the national championship. “But I’ve got a big month coming. I’m back into hospital for some really heavy-duty treatment that’s really going to determine how things pan out for me. Jim Tucker talks to Jordan Spieth instructor and Australian Cameron McCormick about why his pupil is returning again to this week's Australian Open golf. In a nutshell, Spieth has taken to the area as a great place to kick off his season and enjoy the land Down under while pursuing a title with a fantastic history. “The tournament is not getting a top player on a holiday because we’re talking about a kid who loves golf history. McCormick gave an insight into Spieth lapping up Australia away from the spotlight with restaurant visits on Sydney Harbour, tackling a rip at Bondi Beach and slipping away for some bucket list golf. “I’ve got to say the funniest afternoon on the 2015 trip was Jordan and (caddie) Michael (Greller) bodysurfing at Bondi and being shocked at the extent of the rip when slightly outside the flags,” McCormick said with a chuckle. Spieth's title defense starts Thursday (Wednesday in the U.S.) at The Australian Golf Club with Golf Channel coverage commencing at 8 pm ET. A little lost in all of the Tiger talk this week: the resounding success of the World Cup of Golf. As we discussed on Morning Drive, the format seemed to work well. But it was Kingston Heath that stole the show. Mike Clayton filed some thoughts on what made the week such a sucess in spite of silly driving distances and also offered this observation about the course's best moments. More interesting and entertaining to watch was how the field played the short par 4 4th hole (the club’s normal 3rd) There was a wide variety of clubs played from the tee in Saturday’s foursomes play with Rickie Fowler leaving Jimmy Walker a full nine iron to the flag while Soren Kjelsden, the shortest of the top players last week, left his partner Thorbjorn Olesen with barely anything more than a chip from the perfect angle. A few matches ahead the New Zealanders Ryan Fox and Danny Lee made a comedic mess of a seemingly simple hole by playing it completely the wrong way despite hitting two perfectly good looking shots. Nothing evokes Thanksgiving memories like Kingston Heath, which returns to the tournament golf spotlight for the first time since the now infamous 2009 Austalian Masters. Even better, the return comes with the historic World Cup of Golf sporting a fun format featuring two rounds of four-ball and two rounds of foursomes. John Huggan shares a few fun facts from the history of an event that was once more prominent. The field has some very intriguing teams. But it's Kingston Heath, the glorious sandbelt masterpiece, which is the star of proceedings starting Wednesday evening in the United States (Golf Channel 8 pm ET). 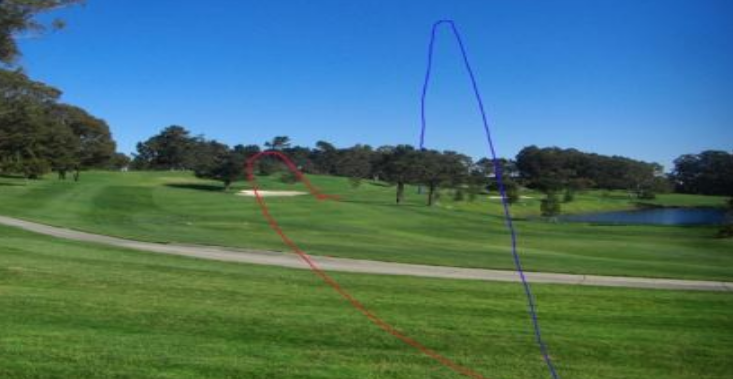 Steve Keipert shares the views of many who believe this is Australia's best course. Kingston Heath Promo from Collier Creative on Vimeo. Not many 50-somethings have ever been able to remain relevant with the flatbellies, yet Peter Senior did so in spite of the game's power surge, even winning the 2015 Australian Masters at 56 (!). Planning to call it a career at the Australian PGA Championship in a few weeks, Senior had to WD from the Australian Open he's won twice due to hip pain. Martin Blake reports on the ageless golfer finally experiencing father time catch up to a career that included 34 worldwide wins. Senior gave this interview after withdrawing from the Open. Video: Youthful (16 Months) Passion For The Game!